Nobody wants to be stuck behind our motorhome and after being overtaken yet again by a massive concrete truck, we arrive intact at the beautiful Herzog’s Winery Restaurant and cottage. 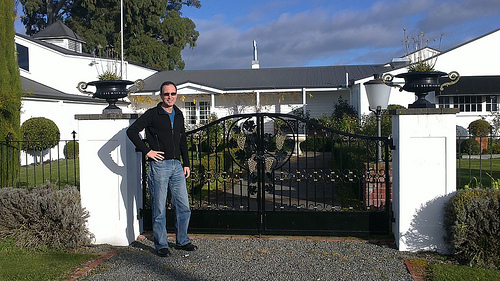 Owners, Hans & Therese Herzog produce European style wine in New Zealand soil. How about that! It’s a crisp winter’s day, yet it’s easy to imagine a stunning summer’s day where you can dine alfresco surrounded by white roses and a vineyard dripping with grapes. 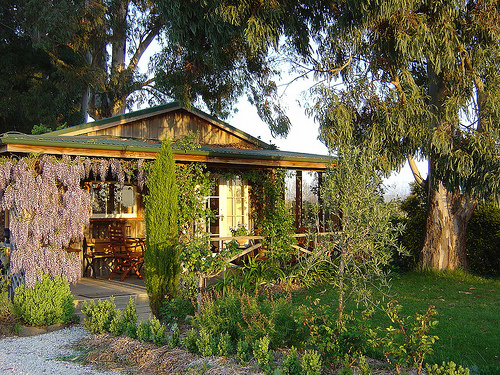 The vineyard’s gorgeous cottage accommodation has a deceptively rustic exterior, but wait’ll you step inside – no expense or comfort spared here folks – honeymoon heaven. No telly – no need. Gotta love the vintage Reben Kuebel on the verandah. 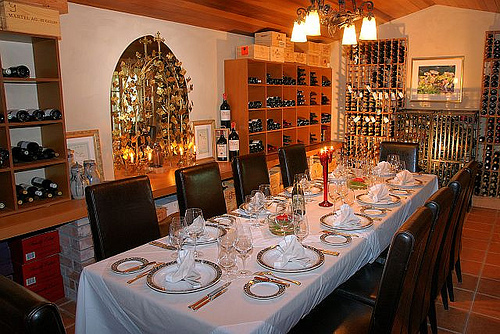 Only the cottage guests are permitted access to the vineyard (how very nice) and it’s understood that guests will dine for at least one evening at the Herzog restaurant – and why wouldn’t you? Sam, the Manager, takes us back through to the cellar and this is where guests get the real hands-on experience of seeing the barrels, the wine being drawn off and the bottling process. I love that earthy, and pungent smell. I take a photo with shaking hands, my thumb firmly placed over the lense for crying out loud. Back to the main building and restaurant area. There are so many beautiful areas, but one that’s a standout for me (I feel a song coming on). This room is smaller, intimate and can seat up to 12 people for a special event. Isn’t it lovely? We’re found a great match to go with the Herzog experience. We meet two amazing women who share my love of quality food and seriously good wine. I’m as happy as a clam. 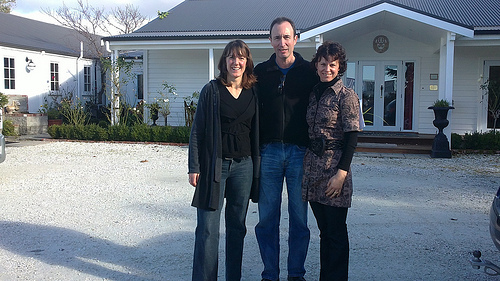 Karen Wlshe and Charlotte Patterson (herself a fabulous gourmet cook) own a company called Explore Marlborough. 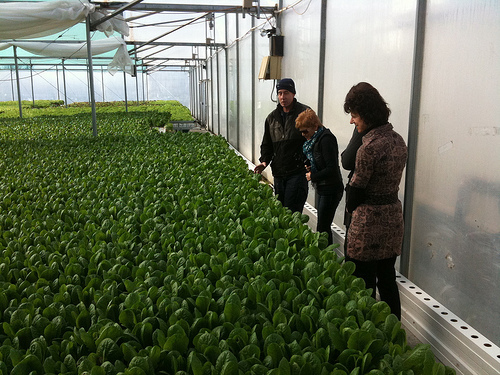 They whisk us away in their 4-wheel drive to get a firsthand experience at the Thymebank hydroponic farm. We look, smell and TASTE different herbs and lettuces and just when I think I know everything, they offer me a piece of sorrel. I decide to humour them by chewing thoughfully a couple of times. Suddenly my mouth explodes with the taste of green apples – from a herb! The look on my face is priceless, but Michael is busy stuffing his face with chocolate mint and misses a photo opportunity. Karen and Charlotte speak with passion about their tours which include visits to see an artisan cheesemaker at work. Wait’ll you try the lavendar-flavoured chocolate! These guys go behind the scenes to places not normally opened to the public. We don’t have time to do it all and we’re soon back on the road looking out for that manic concrete truck.